February 1, 2019 – Researchers hope to develop a test that could detect early changes in blood flow to the heart. A pilot project by Duke and DCRI researchers suggests that in the near future, a blood test could show whether arteries carrying blood to the heart are narrow or blocked, a risk factor for heart disease. 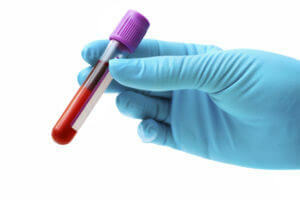 A control group of patients with normal stress tests did not show the same metabolite changes. In addition to Limkakeng, study authors include Ricardo Henao, Deepak Voora, Thomas O’Connell, Michelle Griffin, Ephraim L. Tsalik, Svati Shah, Chris Woods and Geoffrey Ginsburg. The research was supported by a grant from the ENhanced Academics in a Basic Laboratory Environment (ENABLE) program of the Duke Private Diagnostic Clinics and Duke University. Full disclosures and potential conflicts of interest are disclosed in the manuscript.